Russia has demanded the immediate dispatch of an independent fact-finding mission to the site of last month’s chemical incident in Idlib and the airbase from where the attack was allegedly launched, noting that constant delays discredit the OPCW and render its mandate irrelevant. Over 80 people were killed and 200 others injured on April 4, in an alleged sarin gas incident at Khan Shaykhun in Syria’s Idlib province. Backed by their allies, Washington rushed to blame Damascus based on open-source intelligence and three days later, carried out a massive cruise missile strike on Syria’s Shayrat Airbase in the Homs Governorate. Damascus strongly denied responsibility, saying it did not possess or use chemical weapons, and that the Syrian Air Force destroyed a facility where the militants apparently stored nerve gas. Moscow and Damascus have condemned Washington’s unilateral actions, insisting on a proper investigation into the Idlib attack. And while Russia has repeatedly insisted on launching an independent international probe into the tragic episode, Paris promptly prepared its own report which echoed the US assertion that Damascus was responsible for the attack. The Syrian government, who is a signatory to the Organization for the Prohibition of Chemical Weapons (OPCW), destroyed its 1,300-ton chemical weapons arsenal – except for the stockpiles located in the rebel and terrorist-controlled areas – under UN supervision following a deal brokered by Moscow and Washington in 2013. On May 23, the UN Security Council once again discussed the chemical attack in Idlib. Izumi Nakamitsu, the UN disarmament, chief told the Security Council that planning for the fact-finding mission to the site was “already underway,” but no date has yet been set, as the UN is allegedly working to confirm security assurances needed to dispatch an international team of experts. Moscow reminded the international community that in order to draw any reliable conclusions, investigators should first visit the site of the incident and the Syrian airbase – which Damascus had agreed to provide free and safe access to, both before and after the facility was bombed by 59 US Tomahawk missiles. “It looks like no one is in a hurry to go to Khan Shaykhun for verification of the details of a case as resounding as this one,” Russia’s foreign ministry said. Moscow also questioned why investigators would refuse to visit the Shayrat Airbase, which, according to the anti-Damascus coalition, was used to launch the chemical attack. “We would like to emphasize that in early April, Damascus provided official guarantees for safe access there for the experts of the OPCW mission to establish the facts of the use of chemical weapons in Syria,” the ministry said in a statement. Moscow has demanded that an international team of experts be sent immediately, emphasizing that further delays would discredit OPCW’s investigative mechanism. “Further evasion of a full-fledged investigation will call into question the competence of Joint OPCW-UN and OPCW Fact-Finding missions and the relevance of their further existence,” the foreign ministry said. “This is not just an imitation of work – we are dealing with conscious, deliberate falsification, pursuing clearly predefined political goals,” the ministry underlined. Moscow again raised a number of questions pertaining to the West’s ‘evidence,’ in particular, the biomedical and other samples allegedly collected at the site. 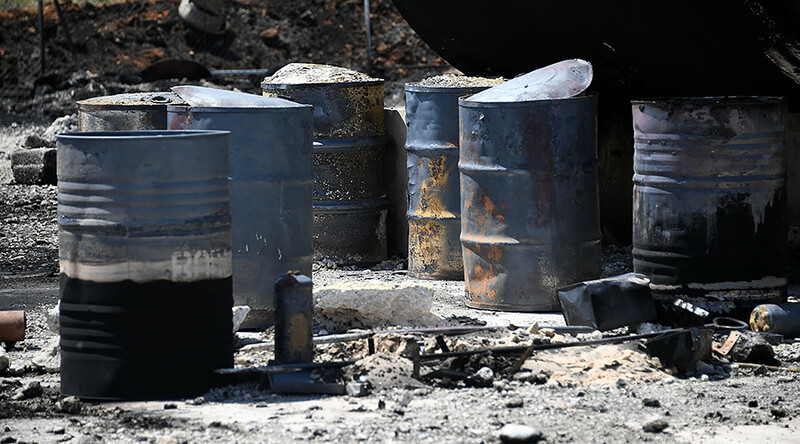 The UN requires sampling to be done by its own teams following the complete and unbroken chain-of-custody and the analyses determined in OPCW-designated laboratories. 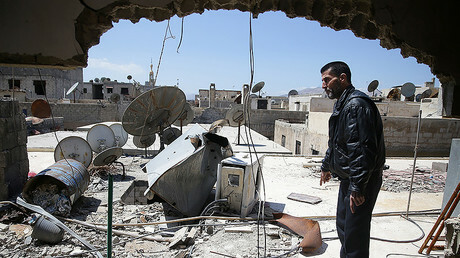 “Isn't it the time stop building far-reaching accusations on the basis of poorly produced, staged video materials and other inaccurate information which the irreconcilable Syrian opposition and its foreign patrons are supplying in abundance?” the ministry said. Moscow noted that the US, UK, and France once against sought to “impart a marked anti-Assad and anti-Russian taint” to this week’s discussion at the Security Council. 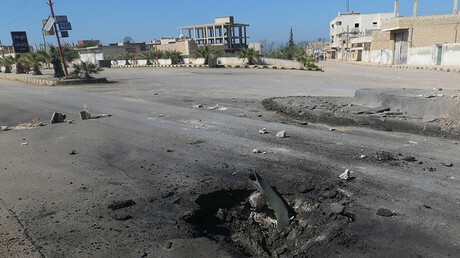 “It once again confirmed that the ‘denouncers’ of Damascus are not interested in establishing the truth in the issue as crucial as who stood behind the possible use of sarin in the Syrian province of Idlib on April 4,” the ministry said.